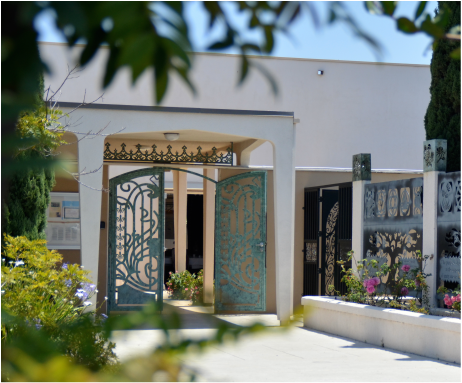 ​The San Diego Bahá'í Center is utilized for Holy Day celebrations, community Feasts (Bahá'í gatherings for social and spiritual fellowship), classes for adults and children of all ages, and is available for rent to community organizations. Main Hall: Theater seating for 200, table seating for 80, full stage, audio and video systems, commercial kitchen. Fireside Room: Casual meeting space for 15, couches and chairs. Upstairs Room: Informal meetin﻿g space for 30, toys for children. Bookstore: Offers a wide selection of Bahá’í scripture, books about the Bahá’í Faith, prayer books, jewelry, t-shirts, and music.